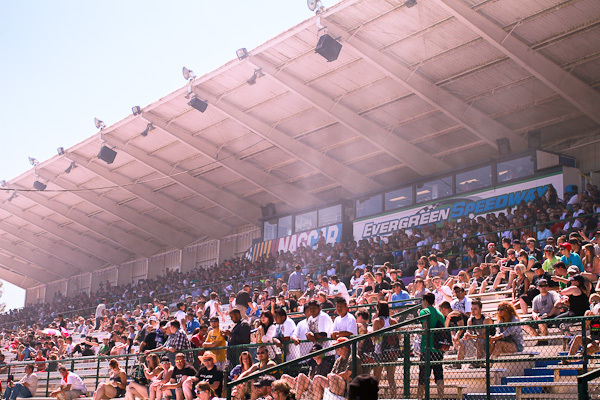 Formula DRIFT Round 5: Throwdown at Evergreen Speedway is currently close to capacity. Tickets purchased online are available at Will Call still, but no guarantees for anyone arriving looking to purchase a ticket at the door. Formula DRIFT would like to thank all of the fans of the Pacific Northwest for their continued support of the Series. The event is streaming live via the DriftStream for those at home that would like to check out the action for themselves.